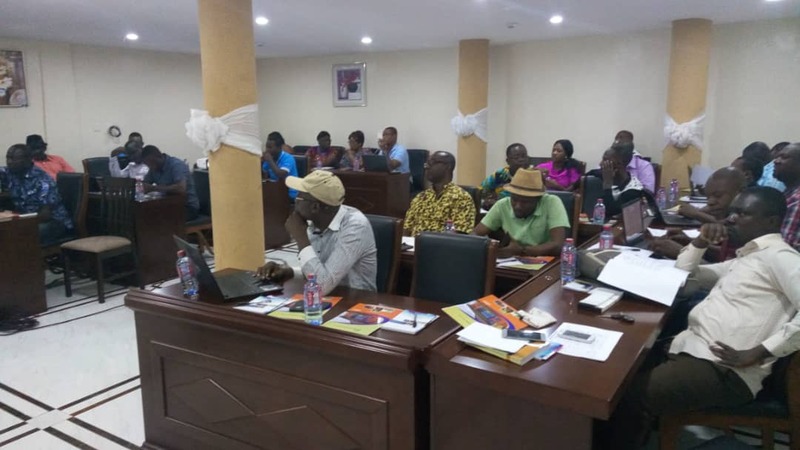 Kumasi Technical University (KsTU) has resumed the series of workshops on Competency-Based Training (CBT) it started about a year ago. These workshops are also meant to be a trainer-of-trainees such that all faculty members would be capacitated to develop programmes along the lines of CBT. It should be noted that the conversion of Ghana’s polytechnics into Technical Universities (TUs) in 2016 is not without enormous responsibilities. As a way of imparting hands-on skills training to students in these Technical Universities, the curricula for such students should be delivered in the CBT mode. Also known as objective or project-based learning, the CBT mode ensures that the learners gain mastery over the core competencies or tasks involved in any activity or job before proceeding to the next level. By getting mastery over the core competencies, the learner is trained enough after the programme to fit into industry without the usual initial training required by new employees. This increases productivity as it ensures graduates’ suitability for the job in their chosen fields. The week-long programme which is taking place at the plush Rosapearl hotel has been divided into two. While the first batch of participants are trained from Monday 21st to 23rd January 2019, the training for the second batch takes place between 24th and 26th January. The activities for the first batch comprise converting all the M.Tech programmes (M. Tech Environmental Engineering; M.Tech Health Statistics; M. Tech Financial Statistics; M.Tech Environmental Statistics), and some of the B.Tech programmes into the CBT mode. The activities of the second batch during the workshop include converting into the CBT mode B.Tech Accountancy, B.Tech Fashion and Design and Modelling, B.Tech Dispensing Technology, B.Tech Estate Management as well as B.Tech Furniture Design and Interior Decoration. Opening the one week workshop, Prof. Gabriel Dwomoh who stood in for the Interim Vice Chancellor, underscored the need for all TUs to convert all their curricula into the CBT mode in order to advance their mandate. He therefore charged all the participants to take the workshop seriously since it was directly linked to the mandate of KsTU as a TU. On his part, the facilitator of the workshop, Ing. Dr. Julius Borkloe advised all participants to be very active and all must be involved during the practical sessions so as to master the processes and the procedures involved. He charged members to avoid forgetfulness by periodically going over everything they would cover within the period of the workshop.